A long time ago, in a world far, far away, Microsoft Teams was but a glint in the eye of Bill Gates. He’d been pondering whether or not Microsoft should purchase Slack or continue to work on building up Skype for Business. In the end, the decision was to continue working on Skype and to forgo the Slack acquisition…but that didn’t mean there wouldn’t be a Microsoft-created Slack competitor on the horizon. 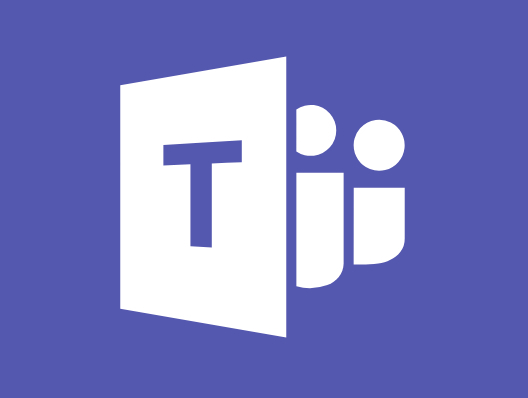 In its initial stages, Microsoft Teams wasn’t as appealing to the masses as Slack was. For starters, it didn’t have a “freemium” version to compete with Slack’s popular offering and since Slack had already been on the market for a while it took Teams a bit of time to get on users’ radars. However, as Microsoft continued to improve the application they introduced features and functionality that more than leveled the playing field. After all, not only does Teams have Microsoft ingenuity behind it, but it has complete integration with the Microsoft Office suite that nearly everyone in the world is already familiar with, as well as incredibly seamless integration with countless other applications. Take a look at some of Teams’ great features that can improve teamwork and help you save time, whether you’re a small agency or a Fortune 100 enterprise. You have the flexibility to set up as many or as few teams as you’d like. Do you need to set up a team for each of your clients, internal departments, or team members? Need to open communication between your staff and your client by creating a group? You can! Teams allows you to customize your setup to the liking and needs of each individualized company that uses it. There aren’t any rules for how to set up a team - just start by adding teammates and get to work. You can add people both within and outside of your organization and give them different permissions and roles based on their level of access required, which is a hallmark of almost every application in the Microsoft Office 365 suite. Once you’ve set up your teams (or groups of people brought together for work, projects, or fun), you can create your channels within each team. A channel - which is essentially a robust chat tool - is built around a topic like “Team Events” or a department name. Let’s say you’ve set up your teams based on clients. These channels could represent various project deliverables for each client. If you’ve set it up by department, they could represent different projects that need to be completed. By creating channels, you are specifying which teammates need to be involved in which conversations (although every member of the Team will still have access and can pop in and out of the discussion as they need). This eliminates distractions for those who are not involved in a specific part of a project. Of course, one of the main features of Teams, outside of the chat feature, is the ability to collaborate with your team. Due to its strong integration with the entire Microsoft Office 365 suite of applications, users can collaborate on documents and presentations in real time. In fact, each channel is set up with tabs for Conversations, Files, and a Wiki by default. As an added bonus, you can add tabs for each of the Microsoft Office applications as needed so that users can easily access them to create new documents. You can also add tabs to integrate applications outside of the Microsoft family, such as Asana or Trello for task management, or Zendesk for ticket management. By integrating these apps, you’re able to keep everything that pertains to a particular project or department neatly contained within one channel. Finally, one of the most compelling reasons to use Teams is the fact that it helps to keep all of the communication regarding a department, client, or project together in a central repository. No longer will team members need to be sifting through emails, IMs, or shared drives to find the information they need regarding a specific issue. This collaborative, streamlined approach to getting information and interactions contained in a single space means that everyone involved can focus on the task at hand, increasing their productivity and efficiency. Are you ready to take the next step and learn how technology can help your business grow? Download our latest ebook Build A Better Business By Outsourcing Your IT. Interested in learning more about working with iuvo Technologies? Contact us today! ©2019 iuvo Technologies. All rights reserved.